We live in a content driven world, where on a daily basis we listen to, read and watch content. Whether it is blogs, news websites or listening to podcasts, or simply watching videos, it has become an integral part of our lives. It is something which we have been doing on a daily basis, for the past few years. Content creation is also relatively easy as most smartphones today are capable of filming some of the best videos you can shoot. The rise in technology, the increase in internet access all mean that nowadays anyone and everyone can make videos and easily upload it. Although everyone seeks viral success, there is no set method or recipe to attain such popularity. You might get lucky with an upload or so, but the most important key to success in the video making and content making sphere, is the consistency. The quality of your videos and the effort you put will help you garner followers in the long run. While there is no exact formula to viral videos, the best you can do is keep the titles and thumbnails of the videos as catchy as possible. Why the thumbnails and titles? Firstly, it is the first things that any potential viewer is going to see; hence making a good impression is impervious. With the help of a good title and thumbnail you will see a noticeable rise in viewership. Another aspect you should consider is the impact of the thumbnail on Facebook linker YouTube, which can help gain viewers who are not in your target audience. That is the easy part; the harder one is finding ways to find the best thumbnail and title. In order to make your thumbnail as catchy and vibrant as possible, the first thing you need to consider is the resolution of the image or the screen grab. Usually the best way to do is by recording your videos in the highest definition and also taking pictures while recording the said video. This way you get a crisp image which correlates to your video quite perfectly and also establishes that the video itself is going to be good. Another key thing is that the image should be an action or a face shot, the reason for this is that it is easier to relate to people. Psychological studies show that a face is far more trustworthy than any other picture. Action shots also entice potential viewers, if it is something which they do not witness on a daily basis; they are more likely to click on it. This kind of picture simply peaks their curiosity and they want to watch it. Now there is the point of promoting your said video and what better way to do it than through social media, and particularly Facebook. 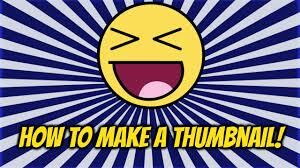 The site has over 2 billion active users each month and is the perfect platform to promote videos, you can use tools such as FBlinker YouTube to help make your thumbnail and videos stand out and get more clicks.